How Should you Use the Frequency Capping Tool? As a media buyer, you’re gonna be able to use a lotta tools when creating a campaign. You may leave some of them by default because their impact on a campaign’s performance is almost unnoticeable. However, there are others that are rather important. 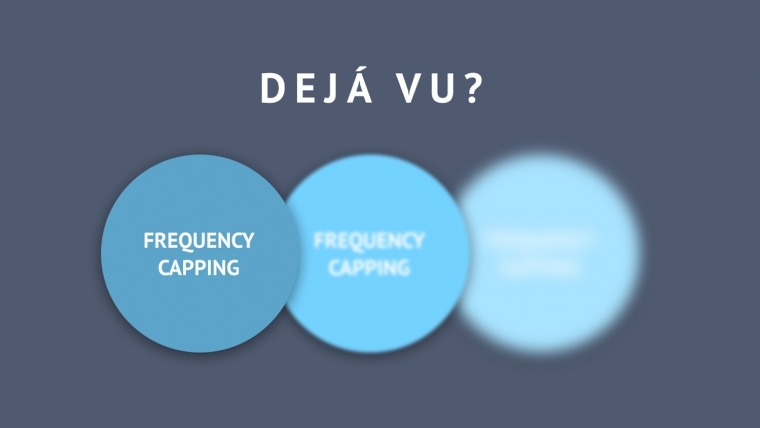 One of them is called frequency capping, and it can be applied to a campaign, ad or spot. The frequency capping is a tool that allows you to limit how often an ad is shown to the same user in a set period of time. In other words, it refers to the number of times (impressions) the user will see each ad. If you set a frequency cap of 2/24 hours for an ad, it will be shown a maximum of two times to the same user in only one day. 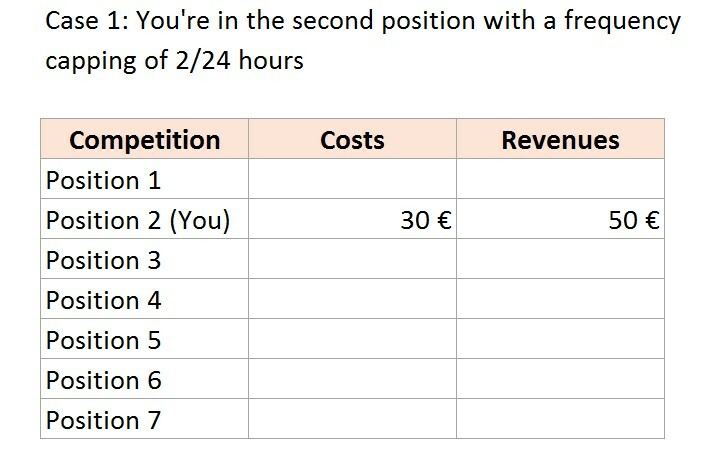 If you choose this metric for a campaign and you have more than one banner implemented there, the frequency cap of 2/24 hours means that the user will see 2 impressions in 24 hours, regardless of the banner. That is, the impressions can come from the same banner or from different banners – it’ll always depend on the ads rotation system inside the campaign (it can be random rotation, or based on CTR, or based on performance). In some cases, the frequency capping can also be applied to a zone or group of campaigns. It’s a very useful tool when you’re buying on a CPM basis (cost per one thousand impressions) and you’re receiving by conversion, lead or sale. As your main goal is leading the user to the conversion, you can restrict your costs by paying only for the impressions that are most likely to give you more revenues. If a user sees a banner many times and doesn’t click on it, you can’t expect it’ll do it in the near future and so you don’t need to pay for that impression forever. The frequency capping you should set depends on your position among the competition. You know that you’re not in the first positions; that there’s another “guy” paying more than you for each impression for a given spot and/or campaign. You’re basically receiving the rest of the traffic he’s not able to get or doesn’t want (case 1). 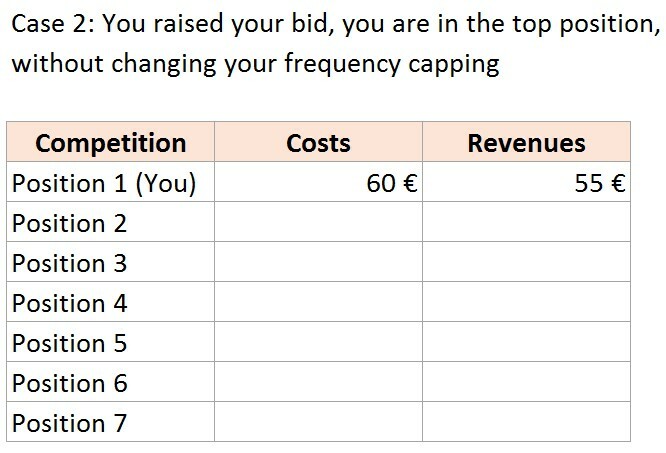 What I’d suggest you do is try to gain the top positions by raising your bid, and analyse whether or not that’s profitable for you. 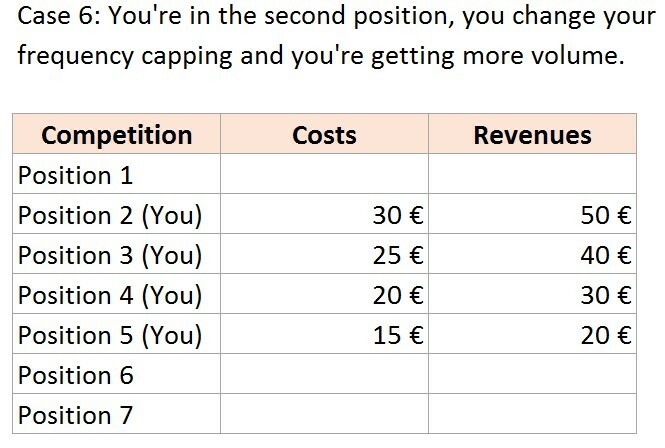 The first position is far away from being profitable for you (case 2) or it happens to be your perfect position (case 3). 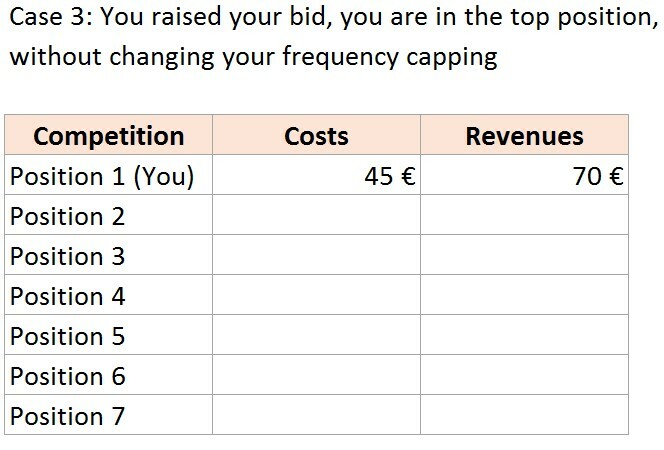 In the first scenario, and once you arrive to the first position, you can expand your frequency capping or even disable it to bring more profitable impressions, until the point that it’s still profitable for you (case 4 and 5). However, the first position is not always perfect for a media buyer. Sometimes, you can lose money there. In this case, and taking into account that you’re making money in the second position, you can try to receive more volume in lower positions, until ultimately reaching a point where it’s not profitable (case 6). As the number of impressions increases, the CTR of the banners will decrease. That means that increasing the capping means decreasing the average quality of your traffic. For this reason, I’d advise you not to consider the CTR and performance of the banners and/or campaign before the changes. 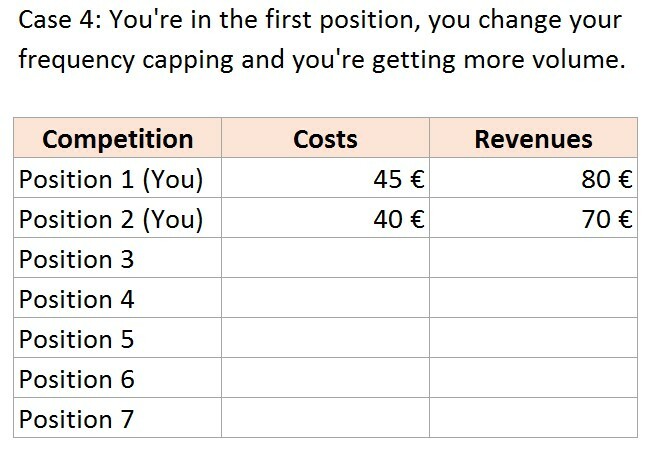 If you’re managing a new campaign and have no info regarding your position, I suggest you try a low frequency cap, for example 1/24 hours or 2/24 hours, and then analyse its performance. Try to make tests and measure the campaign’s performance with changes in the frequency capping. I assure you that you’ll be surprised because you’ll see how a simple change can cause you damages or increase the number of profitable impressions. The changes in the frequency capping are crucial when you’re trying to increase or limit your inventory. For example, if you identify a period of the day/week in your campaign that performs better than others, you can increase the capping for that period to gain more impressions – basically, this means you work with the dayparting. I’d also advise you to be careful with changes in the frequency capping as they only work when you’re in a profitable position. 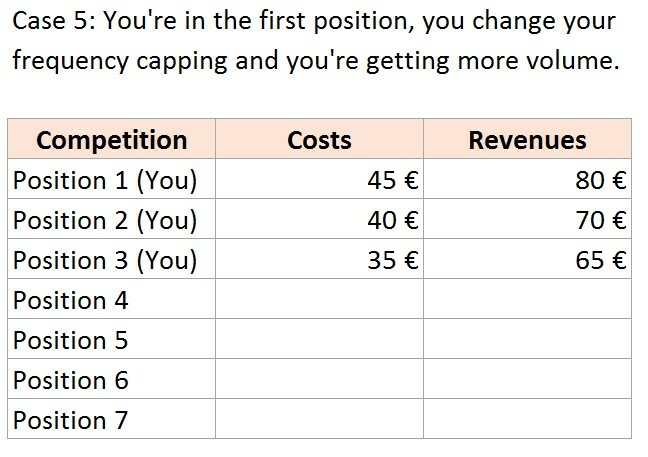 If you start playing and changing the frequency capping without being in a profitable position, you’ll start losing money. Keep climbing the Media buy mountain to reach the top and earn big money!